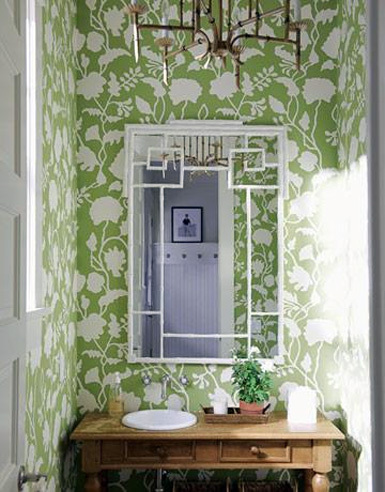 "Using whimsical wallpaper in small spaces expands the room's mood, whether it's swimming fish in a kitchen or dandelions and butterflies in a sitting room." 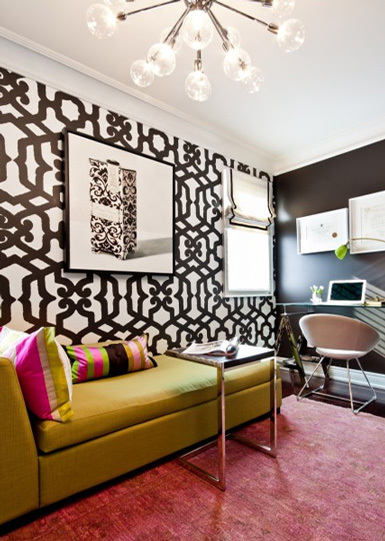 I think you have to be brave to use a bold patterned wallpaper but it definately pays off! Trisha Toelstedt for Thos. 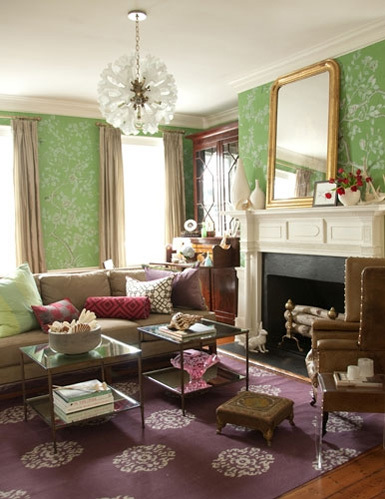 Baker: I am of the mind that bold wallpaper never went out of style! I love to see it used well, and, although sometimes conventional design wisdom warns against it in small rooms I agree they're the perfect canvas! 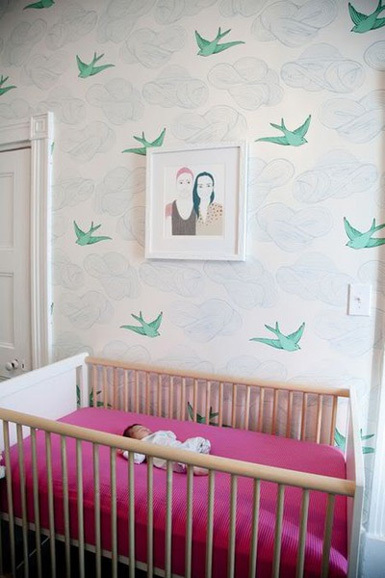 I saw that daydream wallpaper before and liked it, now i LOVE it after seeing it in that nursery!